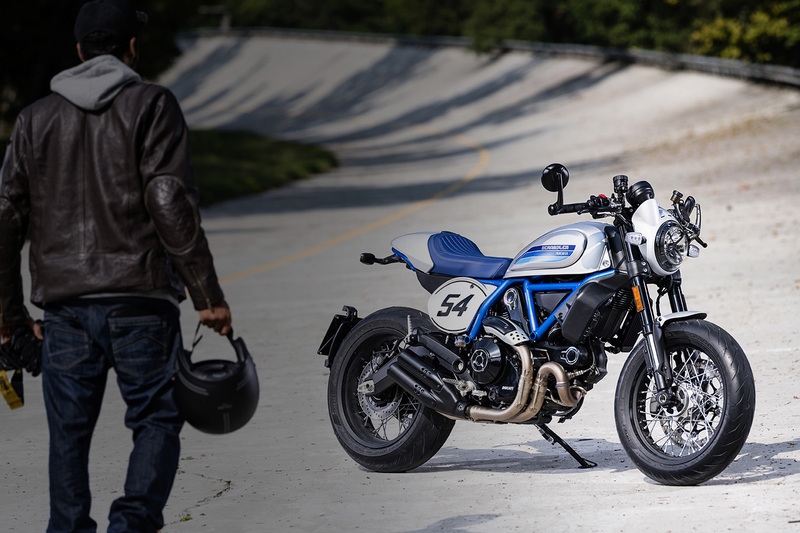 The legend revives in the new Scrambler® Café Racer. Aluminium Handlebar with 60's racing-style bar-end mirrors. Improved Riding ExperienceDucati Multimedia System ready. New selected gear indicator and fuel level. New handlebar switch controls. Hydraulic clutch control with adjustable lever. Improved Safety with Dual-channel Bosch Cornering ABS. Since 1997, GP Motorcycles has been San Diego proper's only Ducati dealer. From humble beginnings at our 9th & G location, we have grown our mostly-vintage shop to a thriving multi-brand dealership, and after 18 years, Ducati remains strong in our hearts as the brand that helped put us on the map. We are proud to stock all currently available models, as well as any non-currents we can get our hands on. If you don't see what you want in our current inventory, please give us a call. Our inventory changes daily and we receive new shipments throughout the year — chances are the bike you want is on order and on its way, and if not, we can find it for you. We also stock many non-current new and pre-owned Ducati's with HUGE markdowns. Looking for accessories for your new Ducati! $6995 Was $7995 $ave $1000 ! $18995 was $20495 $ave $1500!